No, forget Sagan and Van Avermaet and the entire Deceuninck-QuickStep squad. Do we really want to see them win the Tour of Flanders? Terpstra would be nice, Alexander Kristoff would be spicy and those young cyclocross kids Mathieu van der Poel and Wout Van Aert, well, that would be crazy. Those storylines all have a certain level of appeal and high percentages but emotionally, they don’t quite have the lift we’re hoping for. No, we’re pulling for the three riders who would form a true dream podium at Flanders. Because this is the feel-good podium, guys who have suffered from bad luck, injuries, colds and relentless misfortune. Our magical, redemptive Ronde van Vlaanderen podium is Sagan and Van Avermaet-free. 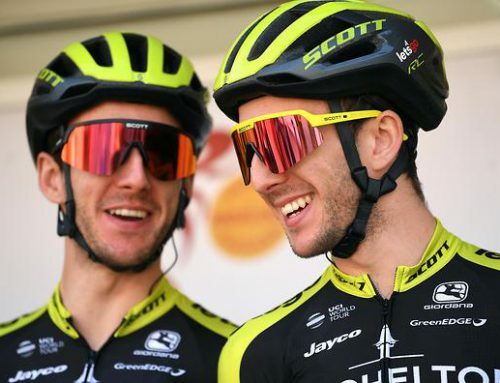 Instead we’re pushing all our good karma and fervent wishes to the middle of the table for these three souls: Edvald Boasson Hagen (Dimension Data), Sep Vanmarcke (EF Education First) and Kiel Reijnen (Trek-Segafredo). Yes, we’re going for the full Matt Hayman Wins Paris Roubaix vibe. 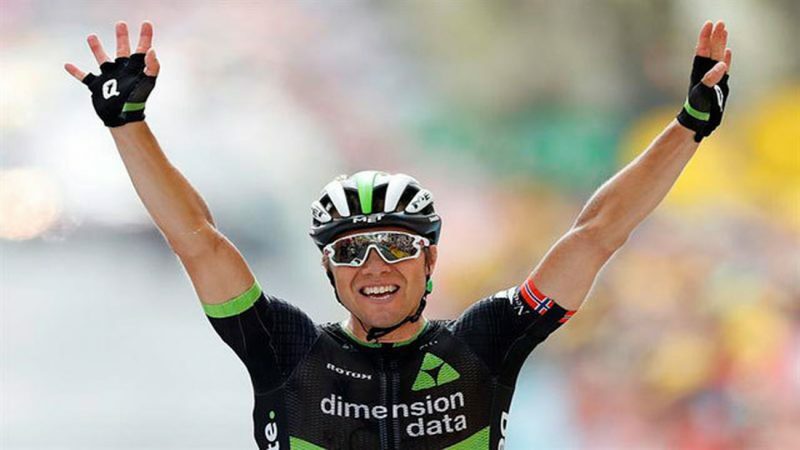 We’ve always felt just a tad sorry for Boasson Hagen who was hyped so heavily (The Next Eddy!) so early in his career at Sky. He’s had his moments and he’s always been a quiet, classy guy. The move to the lower stress environment at Dimension Data was a good one. They got a consistent top notch rider and he got away from the micro-management and pressures at Sky. Now, how sweet would it be to crown the Norwegian king of Flanders. That would be a win for the nice guys, right? It seems to us that Vanmarcke’s full legal name should read Poor Sep Vanmarcke. He was made to ride the cobbled classics, it’s in his DNA but not in his good fortune. Year after year, something inevitably goes wrong. 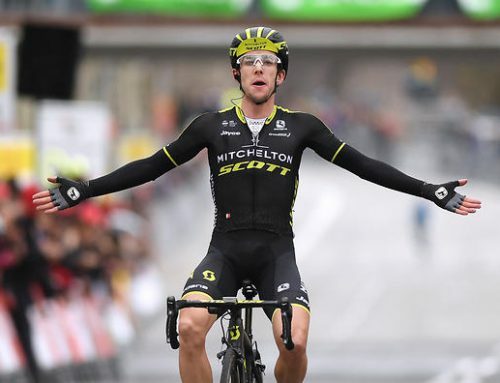 He’s often close, generally in the front group, top ten, occasionally the lower steps of the podium, but never a winner of something Monumental. And sure enough, this season he bangs his knee the week before his big objective (other than Roubaix) and is barely capable of taking the start. That would be a dream, huh? Somehow, someway, despite the pain, the cycling Gods finally reward him with a magical performance. Now, that brings us to our third crazy wish, Mr. Kiel Reijnen. I was tempted to put down that sad-looking bloodhound Ian Stannard but went with Reijnen, a name that to this day I still cannot pronounce correctly. He’s a true slave of the road, working his way up thru the domestic race scene in the United States before earning a ride with Trek Segafredo. Like fellow American Ben King, Reijnen is one of those nice guy-workhorses that every team needs. 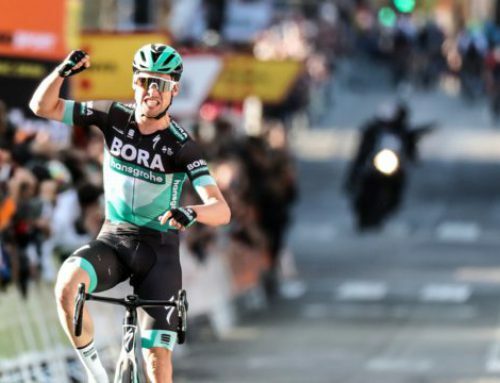 Now, can Reijnen pull off something unexpected and astounding like King did for his Dimension Data team in last year’s Vuelta, taking two stage wins? Suppose he gets in the early break and hits all the tactical notes to perfection? Dream the dream. Sagan or Van Avermaet or Jungels may well win the Tour of Flanders and that will be grand. But for a moment, let’s think even grander: a Boasson Hagen, Vanmarcke, Reijnen podium. Miracles happen!